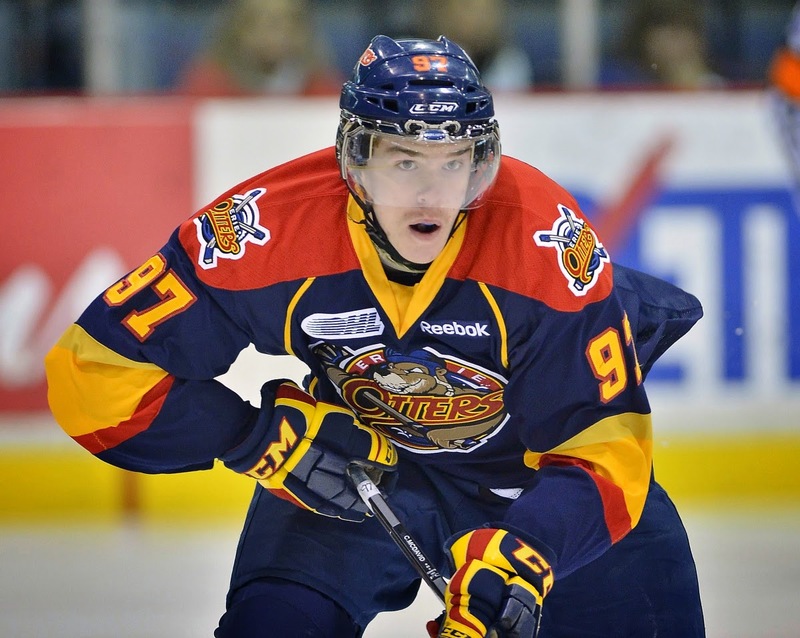 Rink Rover: Did the Buffalo Sabres Blot Out Their Chances of Drafting Connor McDavid? Did the Buffalo Sabres Blot Out Their Chances of Drafting Connor McDavid? Did the Buffalo Sabres blot out their chances of drafting Connor McDavid by inking Matt Moulson, Brian Gionta, Cody McCormick, and Andrej Meszaros during Free Agent Frenzy? Did their July 1st acquisition of Josh Gorges further dim their chances of taking the presumptive first overall selection at the 2015 NHL Draft? Those are the questions posed by Jason Kay of The Hockey News after Buffalo--a team that is aggressively rebuilding--surprised commentators by stocking up on veterans with offensive upside. While those moves may seem counterproductive, they were arguably part of (not a divergence from) the overarching plan to draft high in 2015. Murray and co. have essentially signed players up for an impending fire sale. Why else would Murray re-sign a player that he acquired solely as trade once already? Did he have a change of heart after trading Matt Moulson? That's doubtful. I suspect that he re-signed Moulson just to trade him again down the line. When Moulson ratchets up goals next season, he'll attract attention from teams that could end up in the standings anywhere between a wildcard spot in the playoffs or a seat on TSN during the draft lottery. Hoping for the latter outcome, Buffalo will gladly deal Moulson to that team in exchange for picks. Buffalo's management, I argue, sees these new signings not as permanent fixtures but a crop of talent that will ripen into high draft picks for the organization. Come the 2015 trade deadline, Murray will put away his modest suit, put on a pimp hat, and tell Moulson et al. to go make him some money. In the meantime, the players can enjoy the downtime between the start of the season and the trade deadline, when they will be acquired by teams who are pressing for playoff berths. Sure, Buffalo's impermanent additions will need to show up on the box scores enough to garner trade interest. None of them can perform a disappearing act like Thomas Vanek in the 2014 NHL playoffs. But there is no pressure for them to make the team successful. They are strictly auditioning for roles on playoff-hopefuls. After shipping the talent to other markets, Murray can focus on calling up prospects in order to give them some NHL seasoning. They will, at times, look as hilariously helpless on the ice as Bambi, but the extended cameos in the major league will provide them with an inside track in their development. Pictured: Rasmus Ristolainen works on shot blocking after being called up to join the Sabres. In other markets, putting prospects in losing situations might hinder their development. But in Buffalo, no one will expect them to carry the team. Indeed, there will be plenty of coaches, trainers, and managers to reassure them that failure is expected (for the time being), so they should focus on learning instead of winning. With any and all aspirations of a playoff appearance removed, the prospects will be sheltered from expectations that seem to have crushed other young players who were thrown into NHL action to soon (for examples see Oilers, Edmonton). The only wrinkle in this plan is the salary cap floor, but the Sabres will be able to resolve this issue easily. As Murray has noted, it's easy to spend money in the NHL. One quick solution would involve retaining money on the contracts that he's eagerly offloading. Cup contenders will have problems squeezing potential difference makers into their overcrowded salary caps. Buffalo, however, can offer discounts (for the small fee of a first-round pick). Sure, they can't take this approach with every new acquisition. They won't likely retain a portion of Moulson's salary over the next five seasons, but they could definitely absorb half of Meszaros' 1-year contract and make him highly attractive as a discounted rental. Moreover, Murray can charge premiums for teams who buy up some of his abundant cap space. The Calgary Flames attempted this scheme when they offered to take on Mike Ribeiro's and Cam Ward's undesirable contracts in exchange for first-round picks from the Phoenix Coyotes and Washington Capitals respectively. The Flames likely failed because they attempted this ploy right before the draft, when hockey clubs have nothing to do but daydream about the potential of future prospects. Around the trade deadline, when teams are desperate to make the playoffs and the draft is a distant memory, GMs will have a better appetite for throwing in a high pick just to attain cap relief. And no team will be more ready, able, and eager to take on the other teams' millstones than the Buffalo Sabres. So here's my prediction for the Buffalo in 2014-15: they will be a middling-to-poor team until the trade deadline, when management will decorate its war room to resemble the set from SNL's "Pimp Chat." 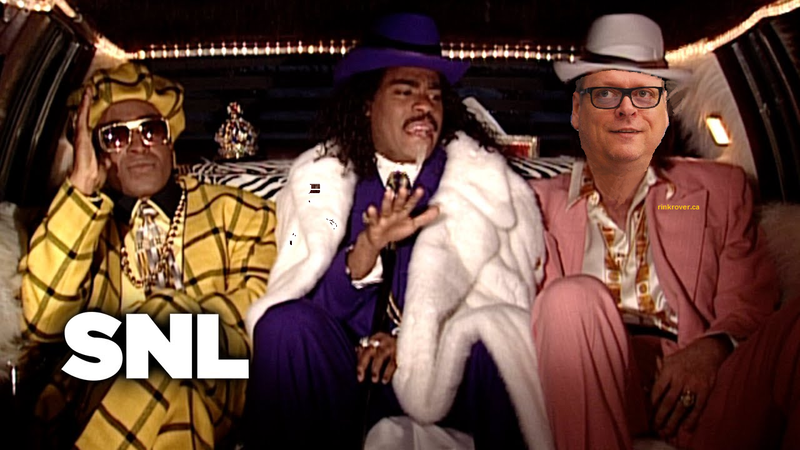 Artist's rendering of Tim Murray receiving the "Pimp of Da Month" award for his work during the 2015 NHL Trade Deadline.